Modern pizzeria that celebrates the classics. 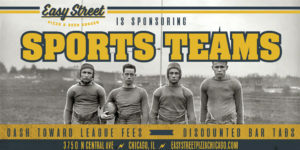 We sponsor all sorts of teams at Easy Street. Softball, volleyball, kickball, you name it!